Aerial view of Bhopal during Diwali festival. 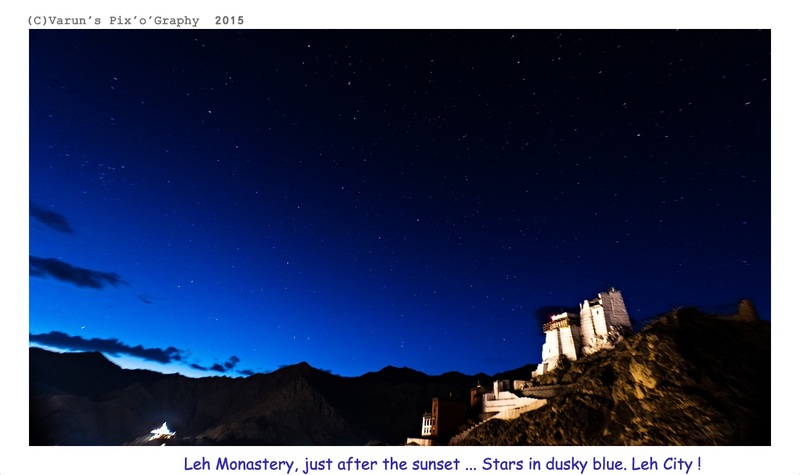 I’ve been to Laddakh few months back. Being free from light pollution, the place serves the best night views for the travelers, tourists and locals who like stargazing. It is kind of adventure too, because of it’s high altitude terrains, weather conditions and trekking routes famous globally. My first Starstruck experience. Milkyway during my TravelLust. 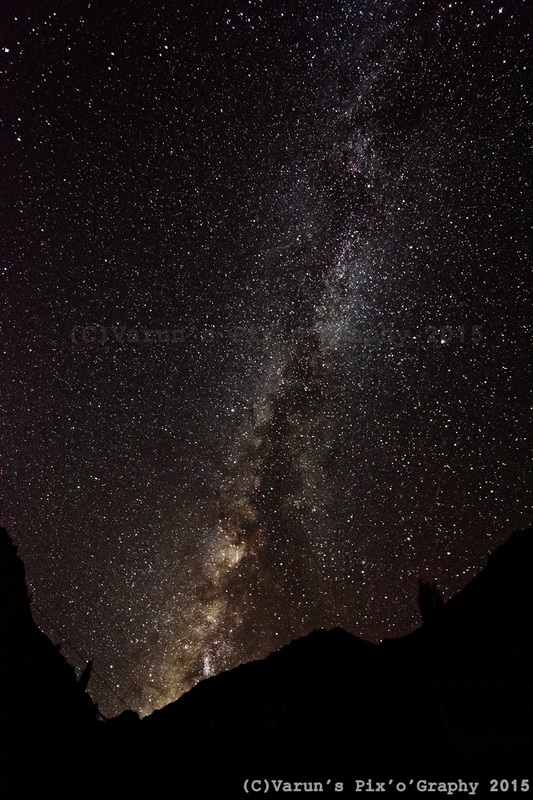 Milky way which is not visible in cities because of excessive light pollution. I took this shot at north most corner of India.. near Indo-Pak Border in Himalayas, Nubra Valley Leh J&K. The village ‘Turtuk’ is free from all kind of pollution and partly disconnected from the world. No Electricity, No network and no Internet access. Only generator used for 2-3 hours of electricity supply during evening and dinner time.After dinner, me and Joe Sieder, who was my partner in the crime and my co-traveler went out for a night walk with our Camera and tripod. The sky was showering diamonds over our heads as it was dark and dense. I enjoyed the view for almost one and half hour. Then i decided to take shot after full satisfaction with the view. We both took 10-12 shots. We were too tired because of constant bike driving throughout the day, so we went back to our guest house leaving the stars and dark sky behind. After reaching to the room, i put down my camera and torch on the floor and lay down on my bed. The room was already dark as there were no electricity supply. Suddenly something happened to me… Starstruck ! yes and that feeling of starstruck was so intense that after closing my eyes the silvery twinkling milky way and stars were there. I opened my eyes and the view was same, it was like there is no roof and i am laying under stars. God ! it was incredible. 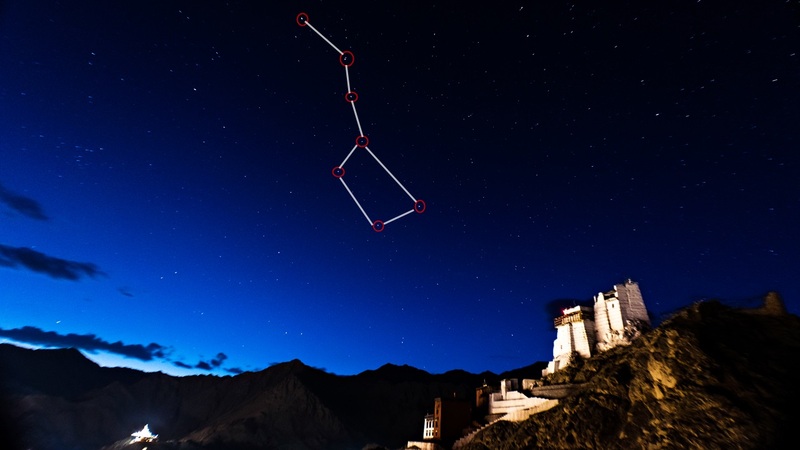 During my childhood i use to count stars with my young brother Arun. We guys use to sleep over the terrace as it was very common electricity cut off to my town. And a thin stream of stars of milky way was easy to spot, but now days having this view in cities is impossible. I always thought of capturing it and finally i did it. I hope you guys will enjoy it and try to search about Light Pollution which is very serious issue now. My first clear shot of Milkyway. Also first experience of starstruck.